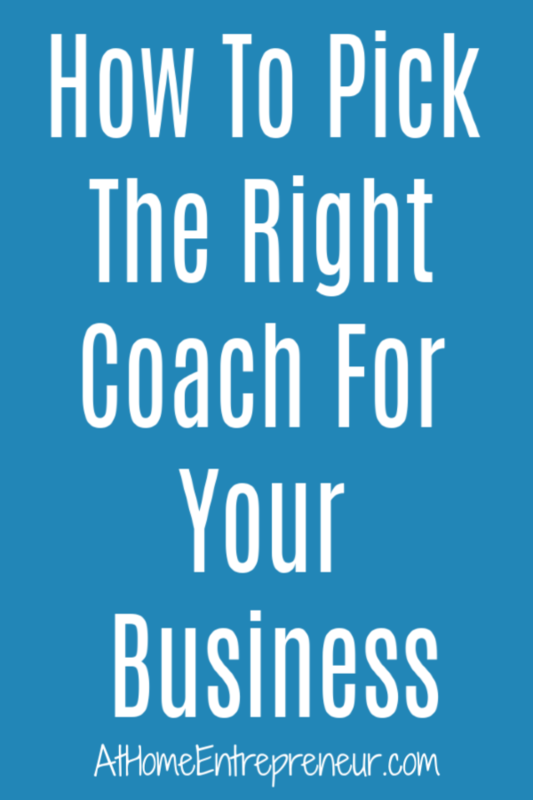 The topic of coaching has been of such interest to those I’ve been talking to this month so I thought I’d just continue it this week with “How To Pick The Right Coach For Your Business”. Picking someone who will be there every step of the way in your business growth is an important step. You must be able to trust the person, feel confident they can lead you where you need to go, and be there for you every step of the way along your journey. 1. 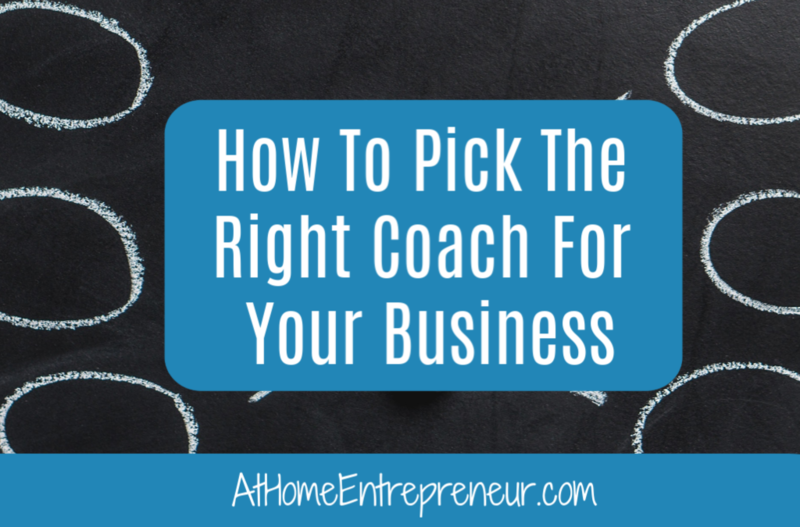 You should like them as a person- this is such a BIG point in choosing a coach to help you further your business. If you hire someone based solely on their credentials but you can’t stand them as a person you will never be able to connect with them and truly learn all they have to offer to you. When you find a coach for your business you must be able to have a comfortable conversation with them as if you were having a coffee chat with a friend. Find someone you like! 2. You should see yourself being able to connect with them- this point can go hand in hand with the last point of “you should like them as a person”. Without connecting with them on a personal level you won’t be able to be open and receptive to what it is they have to teach you about moving forward in your business. You can determine if they are someone you can connect with by simply shooting them a message and asking them some questions. Are they open and receptive to questions prior to working together, is their language the type of language you can relate to, do you feel comfortable enough in your conversation that you could see yourself having similar conversations over the next X amount of time? 3. You should see the value in what they share/offer- When you decide you’re ready for a coach it’s a BIG step. Like I mentioned in a previous blog on “The 5 Signs You Need A Coach” (click the link to read that blog) everyone needs a coach at some point, but now you’re deciding who is the right coach for you. When choosing someone you should look at what it is they offer as part of their coaching packages. Do they have simply a few face time chats every week or so, do they have unlimited e-mail support, do they have unlimited Voxer support, do they offer face time calls, etc.. And what is it that you feel you need most in order to feel supported. Do you think that a few calls every couple of weeks is enough to get you where you need to go, do you need that constant support, do you want to physically be able to see someone and talk with them face to face. What do you consider valuable based on your needs is what you’ll need to consider. For me, I work with mompreneurs, we are very busy creatures and don’t necessarily have time to jump on a face time chat at an exact time each and every week. Therefore I offer unlimited Voxer support, and I MEAN unlimited. My clients can shoot me a message anytime and I get back to them pretty much within a few minutes. I talk to my clients every day M-F between the hours of 9-6 (and if I’m being honest I talk with them a lot over the weekends too). I do offer face to afce chats bi-weekly for my 2 & 4 month coaching sessions for those momprenuers who simply want to jump on a call but most I work with feel we talk every day all day and that’s satisfying for them. I get the mom life, it’s busy, it’s hectic, it’s not something you can match up with someone else’s schedule easily. When choosing your coach be sure to decide if their services are valuable based on your needs. 4. You should see them as a person of authority – When hiring someone you’ll want to “check them out”. If they are a marketing coach selling you on the fact that they can teach you how to massively grow your social media platforms yet they only have a few followers on their platform they may not be the “expert” for you. If they are a website specialist type coach and their site has broken links or weird formatting they may not be who you want to work with. You want someone who can lead you in the right direction based on their experience and personal successes. They should be able to do what it is you’re hiring them to teach you! Like I’ve said over the past few weeks in “You Need A Coach“, “What Can A Coach Do For You“, “5 Signs You NEED A Coach“, you can not elevate your business if you can’t see where you are lacking. A coach is someone who can help you break through those walls you’re up against, they are someone who should be in your corner cheering you on all while showing you how to grow massively!